When we think of the word ‘portal,’ it often conjures up storied imagery from a great fantasy novel. A magical gateway connecting the leading character from one point in their journey to the next; often covering great distances or offering a window into a distant world. In the context of enterprise technology, a portal has a similar meaning for the mobile-enabled worker. You can think of a portal as a convenient point of access to information stored in your business management system, regardless of your current location. Whether you are at the office in front of your desktop computer running SAP Business One or on the road, with nothing more than a smartphone a portal gives you access to the information you need. So, what was the trigger Vision33’s development arm set out to develop web portal add-ons for SAP Business One? We were looking at addressing some of the common pains of modern businesses whose workforce has evolved beyond the standard 9 to 5 office on-site employee. Today’s workforce is mobile-enabled, on the road, or working differing hours and away from the typical access points to SAP Business One at the office or the shop floor computer terminal, but none the less need access to detailed customer information, or up to the minute information on inventory on hand. The challenge with a mobilized workforce is finding a way to extend the benefit of real-time access to mission-critical information to your employees when they’re on the road or away from a computer or without direct access to SAP Business One. Taking these challenges into consideration Vision33 developed a line of web portal add-on products for SAP Business One. Vision33 Employee Portal places your employees in the driver’s seat, empowering them with a real-time, web-based solution that is integrated with SAP Business One. The biggest benefit to users is the reporting capabilities. If one of your employees wants to view the status of an expense payout while at a client site, they can easily reference the report from the portal by using their smartphone app, or laptop and obtain answers in real-time – without having to phone the office to ask the accounting department or a busy manager. This provides them with the flexibility and tools needed to get the work done – where and when they need to. 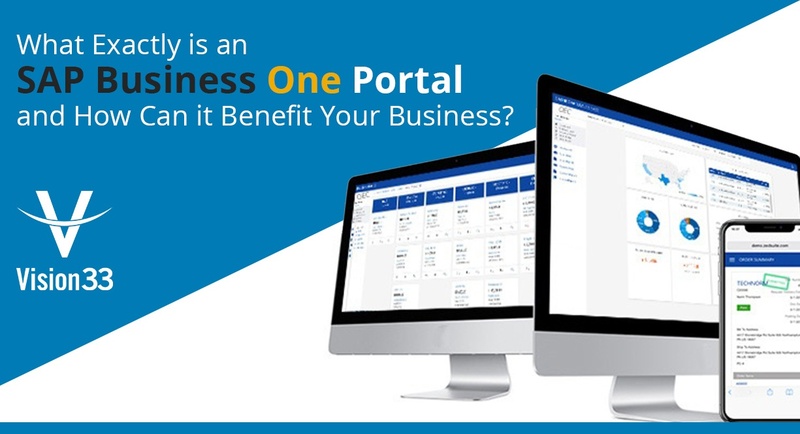 Employee Portal is ideal for employees inside and outside your organization that do not need a named SAP Business One user license but do need to be able to access key report data within the application. 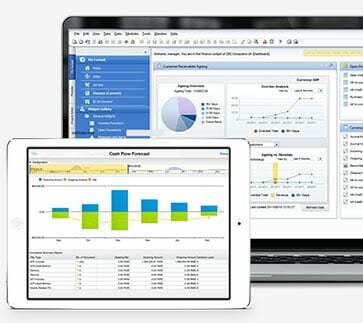 Consider another Vision33 product, the Expense user add-on for the Employee Portal. With this application an employee can be at an airport waiting for a flight with nothing more than a smartphone and an overnight change of clothes but can access important information from SAP Business One wirelessly. Uploading travel expense receipts and submit expense claims right away means that your employee can be more self-sufficient and focus on a busy itinerary and meeting with an important prospective customer.